Learning irregular verbs one by one with their translation can often be frustating and rather boring. 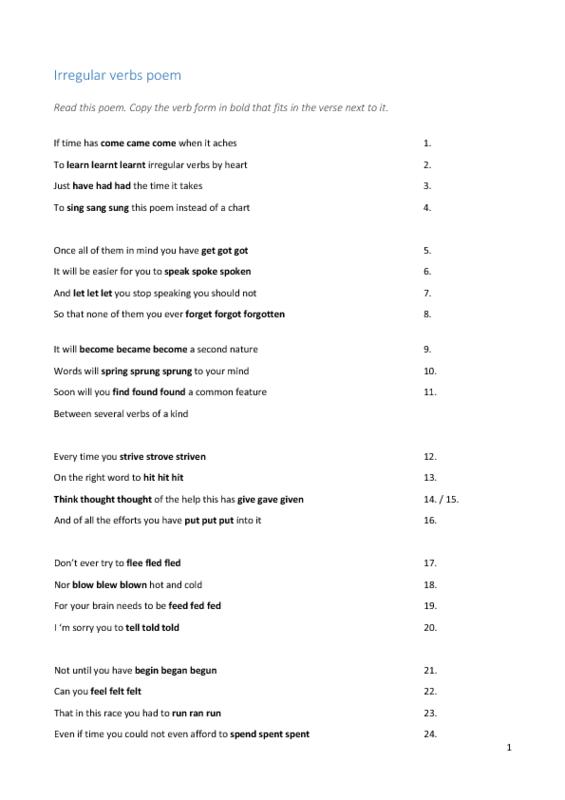 I suggest to use this poem to learn and understand irregular verbs in context. 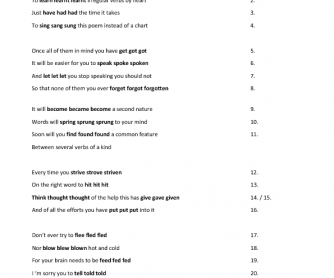 Students could learn the poem, or part of it after identifying the form of the verb that fits in the sentence.